Original Editors - Josh Bixler from Bellarmine University's Pathophysiology of Complex Patient Problems project. 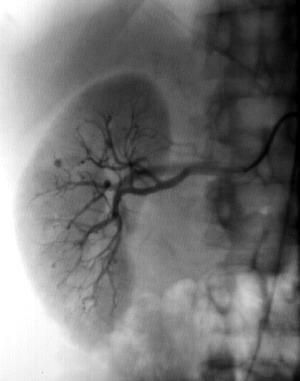 Polyarteritis nodosa (PAN), also known as periarteritis nodosa or Kussmaul-Maier disease, is a serious ideopathic vascular disease that commonly affects both small and medium-sized arteries throughout the body. It falls under the category of primary systemic vasculitis, and more specifically as a necrotizing inflammation without vasculitis of the arterioles, capillaries, or venules. Due to the inflammatory nature of the disease, arteries become swollen and blood flow is diminished. The inflammation, which affects the entire arterial wall, typically manifests where the arteries branch and ultimately the affected vessel tissues become necrotic. As the outer and inner layers of the artery swell, blood clots can form and potentially damage various organs and tissues in the body such as the liver, kidneys, heart, GI tract, testes, and muscles. Development and diagnosis of the disease seems to occur between the ages of 40 and 60. While it affects adults more so than children, it can present at any age. Twice as likely to occur in men than women. Can affect every ethnicity and race. Rare disease, but estimates of frequency in the US are around 77/1,000,000. Internationally, reports have listed frequency in south Sweden at 1.6/1,000,000; 4.6/1,000,000 in England; 30.7/1,000,000 in Paris, France. Typically corticosteroids and drugs that suppress the immune system are prescribed. One such steroid is prednisone, which allows the affected individual some pain relief and can help stop the disease from causing more damage. Also, to further address the inflammation, cyclophosphamide is often prescribed in combination with the prednisone. If the cause of polyarteritis nodosa is related to a hepatitis infection, and the inflammation has been limited, anti-viral medication along with plasmapheresis is used to combat the infection. * For classification purposes, a patient shall be said to have polyarteritis nodosa if at least 3 of these 10 criteria are present. The presence of any 3 or more criteria yields a sensitivity of 82.2% and a specificicy of 86.6%. BP = blood pressure; BUN = blood urea nitrogen; PMN = polymorphonuclear neutrophils. Complete Blood Count (CBC): An elevated WBC count may be present. Arteriogram and X-ray: View possible damage to the small and medium sized arteries which includes stenoses and aneurysms. Biopsy of affected tissues: Affected tissue samples are taken to be viewed under a microscope. Electromyography (EMG): Identifies nerve involvement and provides site for potential nerve biopsy. The cause of PAN remains unknown, but there does appear to be a link to drug reactions, viral infections, and the body's immune system. Adverse drug reactions to iodide or pencillin, or indiviudals with active hepatitis B or C appear to be at a higher risk for developing this disease. In fact, for approximately every five individuals affected by PAN, one of those people has active hepatitis B.
Aneurysms in the liver, spleen, both kidneys, and lumbar arteries. Treatment is neccesary, and corticosteroids (prednisone) and immunosuppressants (cyclophosphamide) are prescribed to help manage the symptoms and allow for healing of the vascular lesions. Cessation of the medication often leads to relapses and those who do not recieve treatment will likely die within 2 to 5 years. With the medication, affected individuals are now seeing survival rates at 90% for 5 years and up to 70% for 10 years. However, if the individual is also affected with hepatitis B, treatment becomes much more complex as these medications can make the hepatitis B infection worse. If hepatitis B is present as well, the current thought is to treat the vasculitis for two weeks using prednisone, and then undergo plasmapharesis while addressing the infection using anti-viral therapy with lamivudine. Medication is the typical treatment for individuals with PAN, however surgery is necessary should the affected individual present with appendicitis, cholecystitis, pancreatitis, infarction of the digestive tract, hemorrhage, or bowel perforation. Poor outcomes are typically seen with these surgeries with the exception of the procedures for appendicitis or cholecystitis, which have outcomes similiar to those not affected by the disease. Use of intravenous immunoglobulin (IVIG) for those individuals who don't have hepatitis B infection, yet don't respond to conventional treatment. Use of anti-tumor necrosis factor (TNF)-alpha therapy for more resistant forms of this disease. Use of B-cell therapy for those individuals who don't repsond to the conventional treatment. Use of iterferon alfa for those individuals with PAN and the hepatitis B virus in mild/moderate cases. The current best treatment for PAN primarily consists of medical management with the use of the corticosteroids and immunosuppressant drugs. Patients that present in one's clinic with the aforementioned signs and symptoms should be referred to their physician. With the nature of the disease, many systems are affected and currently there is no practice pattern for which PAN falls under in the Guide to Physical Therapy Practice (2nd ed.). However, once the patient is medically stable, a physical therapist can help address limitations the individual may be experiencing due to the multiple system involvement. As PAN affects each individual differently, a physical therapist can work with this patient based on their unique needs, and ultimately towards helping them achieve their personal goals and activities of daily living. ↑ Jennette JC, Falk RJ, Andrassy K, et al. 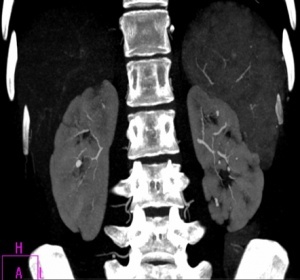 Nomenclature of systemic vasculitides: proposal of an international consensus conference. Arthritis Rheum.1994;37:187-192. ↑ 2.0 2.1 2.2 2.3 2.4 MedlinePlus Medical Encyclopedia: polyarteritis nodosa. http://www.nlm.nih.gov/medlineplus/ency/article/001438.htm (accessed 22 Feb 2011). ↑ 3.00 3.01 3.02 3.03 3.04 3.05 3.06 3.07 3.08 3.09 3.10 3.11 3.12 Merck Manual: polyarteritis nodosa. http://www.merckmanuals.com/home/sec05/ch069/ch069b.html (accessed 22 Feb 2011). ↑ 4.0 4.1 4.2 4.3 4.4 4.5 Cedars-Sinai: polyarteritis nodosa. http://www.cedars-sinai.edu/Patients/Health-Conditions/Polyarteritis-Nodosa.aspx (accessed 22 Feb 2011). ↑ 5.0 5.1 5.2 Goodman CC, Fuller KS. Pathology: Implications for the Physical Therapist. 3rd edition. St. Louis, Missouri: Saunders Elsevier, 2009. ↑ 6.0 6.1 6.2 eMedicine Rheumatology: polyarteritis nodosa. http://emedicine.medscape.com/article/330717-overview (accessed 22 Feb 2011). ↑ Mohammad AJ,Jacobsson LT,Mahr AD,et al.Prevalence of Wegener's granulomatosis, microscopic polyangiitis, polyarteritis nodosa and Churg-Strauss syndrome within a defined population in southern Sweden. Rheumatology 2007;46:1329–1337. ↑ 8.0 8.1 PubMed Health: polyarteritis nodosa. http://www.ncbi.nlm.nih.gov/pubmedhealth/PMH0002410 (accessed 22 Feb 2011). ↑ 9.0 9.1 9.2 Lightfoot RW Jr, Michel BA, Bloch DA, Hunder GG, Zvaifler NJ, McShane DJ, et al. The American College of Rheumatology 1990 criteria for the classification of polyarteritis nodosa. 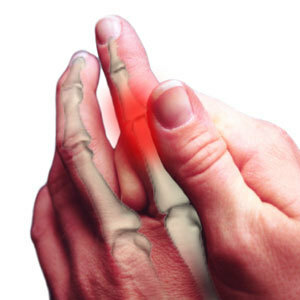 Arthritis Rheum 1990;33:1088-93. 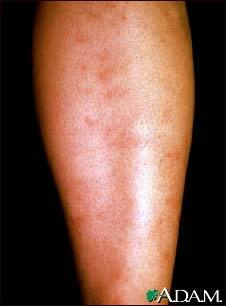 ↑ 10.0 10.1 10.2 Johns Hopkins Vasculitis Center: polyarteritis nodosa. http://www.hopkinsvasculitis.org/types-vasculitis/polyarteritis-nodosa (accessed 22 Feb 2011). ↑ Guillevin L, Lhote F, Gayraud M, Cohen P, Jarrousse B, Lortholary O. Prognostic factors in polyarteritis nodosa and Churg-Strauss syndrome. A prospective study in 342 patients. Medicine. Jan 1996;75(1):17-28. ↑ 12.0 12.1 Guillevin, L. Treatment of classic polyarteritis nodosa in 1999. Nephrol Dial Transplant.1999;14:2077-2079. ↑ BMJ Evidence Centre: emerging treatments for polyarteritis nodosa. http://bestpractice.bmj.com/best-practice/monograph/351/treatment/emerging.html (accessed 1 Apr 2011). ↑ Medscape Reference: polyarteritis nodosa. http://emedicine.medscape.com/article/330717-differential (accessed 22 Feb 2011).